Stanley divides his book into five sections. In each of these sections, he zeroes in on the important traits and qualifications that he believes makes an effective leader. The five sections are: competence, courage, clarity, coaching, and character. In the first section, competence, Stanley states that leaders must focus their energy toward the areas of leadership they have the greatest capacity to succeed in. He stresses the importance of maximizing you strengths and delegating your weaknesses. In the second section, courage, he shares that a leader is not always the smartest one in the office. Leaders possess courage to initiate action and move ahead. In the third section, clarity, Stanley shares that the leader cannot be vague, instead, he/she must clear, even if uncertain. He writes, “Uncertainty will not be your undoing as a leader. However, your inability to give a clear directive in the midst of uncertainty might very well be the thing that takes you out or causes you to plateau in your career”. In the fourth section, coaching, he emphasizes that regardless of how good or talented you are, everyone needs coaching to take us to the next level. 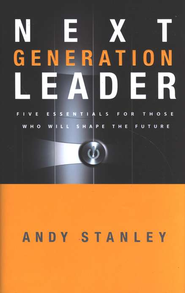 In the fifth section, character, Stanley talks about the importance of “moral accountability” and how the personal life of a leader determines their followship. Stanley has written a good book. It is not a difficult read, only 158 pages. The strengths of the book are his personal experiences and transparency. He allows the reader to learn from his past mistakes. He also utilizes scripture in a way that is especially insightful. As with all of his books, Stanley’s writing style is engaging, easy-to-follow, and profoundly simplistic. As far as weaknesses go, from a church leader’s stand point, it is a bit narrow and did not expand upon leadership challenged unique to church leadership. Overall, a great work. I recommend it to all who have been given the privilege to lead others.